Innovation Summit: Asian innovation in a drawbridge-up world will bring together a diverse group of C-suite executives and business leaders keen to develop their own innovation practices and learn from those who have achieved success in innovating to boost profits and create value. 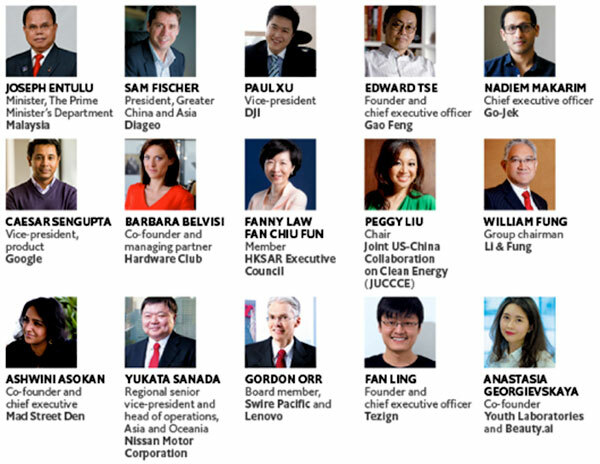 The summit will discuss what’s next for Asia’s innovators. How are technologies like artificial intelligence (AI) affecting the bottom line of businesses using them today? Can technology-led markets keep driving development if Asia’s manufacturing sector contracts? Has hardware become the new software? And where does the next generation of entrepreneurs see Asia’s future opportunities? SOPA members can register with code SOPA3333 to attend with 20% discount of the standard rate. Register here. Innovation Summit 2017 will bring together a diverse group of C-suite executives and business leaders keen to develop their own innovation practices and learn from those who have achieved success in innovating to boost profits and create value.